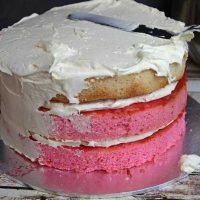 So you want to make a layer cake or just top a carrot cake with a perfect frosting?. This is How to make Beautiful Buttercream Frosting. Perfect every time. So what exactly is Buttercream Frosting.? Buttercream Frosting, as the name suggests is an icing, frosting, filling or decoration for a cake. At it’s most basic, it’s butter whipped with sugar, but like most things there are variations. In all cases though it is a butter type fat mixed with sugar to make a very stable creamy filling that can withstand being unrefrigerated for longer periods than whipped cream. This is the beauty of buttercream. A good one is fluffy and not too sweet and can be piped or spread onto a cake . It excels where whipped cream would collapse and seep. It’s also very helpful on a cake covered in roll out sugar icing as it holds it firm and doesn’t need refrigerating. There’s no substitute for a beautiful buttercream frosting. You can’t buy them ready made but you can make one and it’s not at all difficult. You’ll be an expert in no time. I make a lot of cakes. I also see a lot of recipes for Buttercream Frosting, but I only ever use this one. This is mine. Tried and tested and loved. I like to put it onto a cake and chill it till firm. 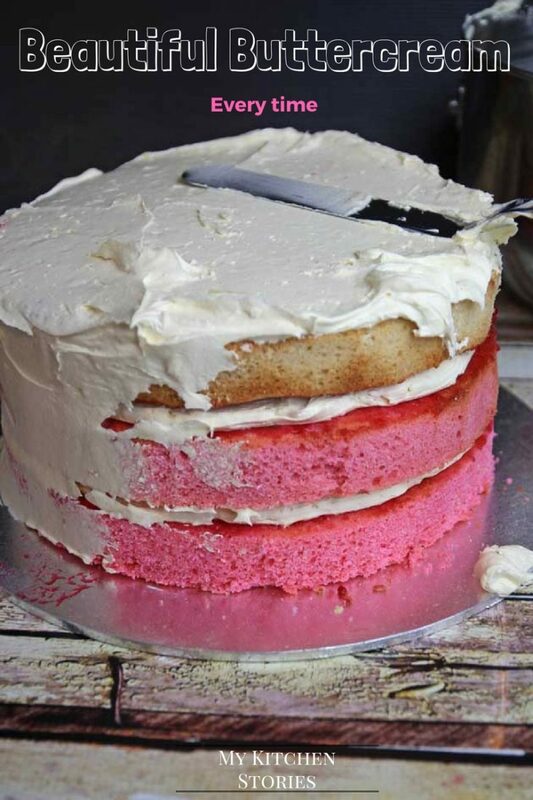 I never eat a cake cold and straight from the fridge but chilling and setting the buttercream makes it kind of like using hairspray or jell- it will keep it in place later in the day…or night. Make the cake, chill and then take out an hour or two before you need it. I use cream cheese in my buttercream because it is a nice white colour with a bit of salt- to balance out that sugar BUT also because it stabilises the buttercream. It has a higher melting temperature than butter making it easier to work with. 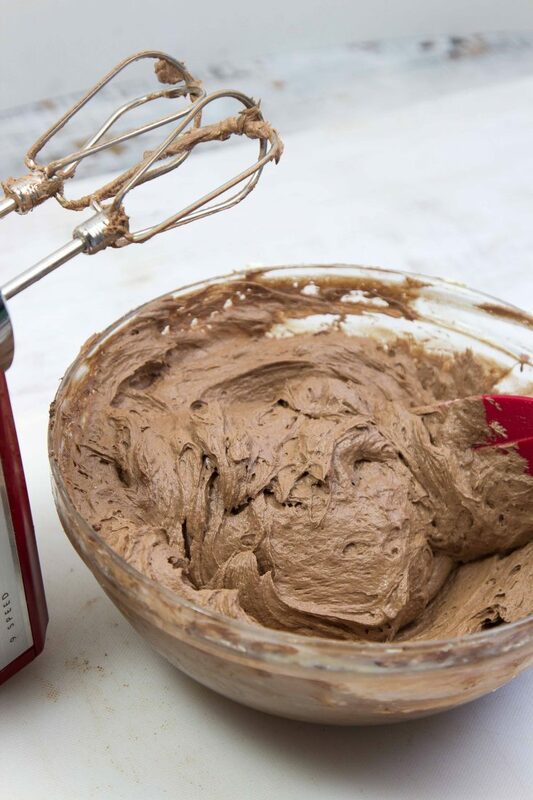 Once mixed it helps my Buttercream Frosting to spread beautifully and taste extra creamy. Temperature makes a difference. Use room temperature butter & cream cheese. At room temperature they cream and hold air well. It’s best to lave the cream cheese and butter out to come to room temperature naturally. This could take a few hours. If you need to help it along never ever warm till melted ( liquid). Add a tiny bit of salt to balance the flavours. The amount you use will also depend on the brand of cream cheese you are using. Some cream cheeses are saltier than others. A guide would be 1/4 tsp. Use icing (powdered) sugar that has no lumps. Sift it. Pure icing sugar always needs sifting. I use a gluten free icing sugar mixture.(Aldi). This usually has very little lumpage. Use immediately. If very warm chill for 1/2 to 1 hour. If you require it the next day or up to 4 days in advance, make and cover and chill, then when you need it bring back to room temperature. Give it a good mix by whipping by hand or with a whisk. If it is hard to use, too soft and squashes out the sides of the cake or can’t be piped it probably needs to be cooled down. Now I don’t want you to think it needs this long list of instructions because it doesn’t, I am an overprotective Mother and I want you to do well. Refrigerate the finished cake before decorating or transporting. This is what is great about buttercream. Chill. 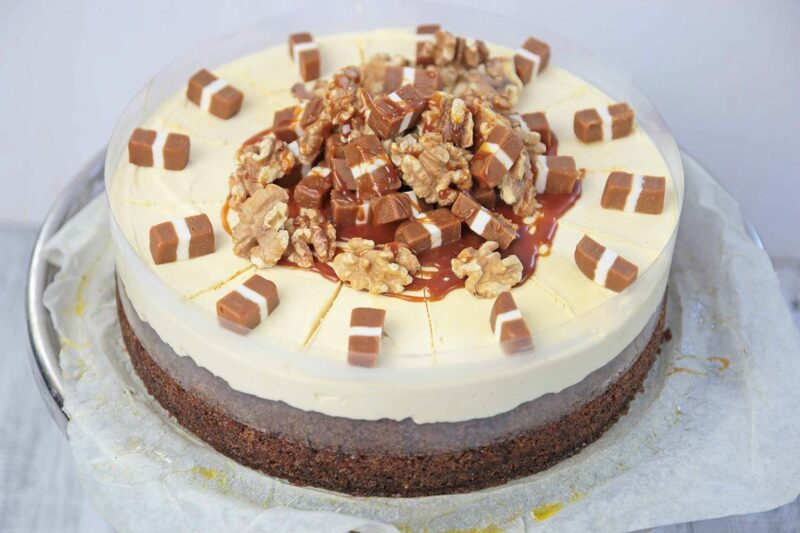 Transport and then leave to come to room temperature for an amazing and delicious cake. Once you get good a it play with some flavours or colours. Try Matcha, Chocolate and freeze dried fruit powders. Beware adding juicy moist fruits. When colouring use a jell or the Queen colours in tubes from the supermarket. Never liquid colouring. Use this buttercream for piping onto cupcakes too. 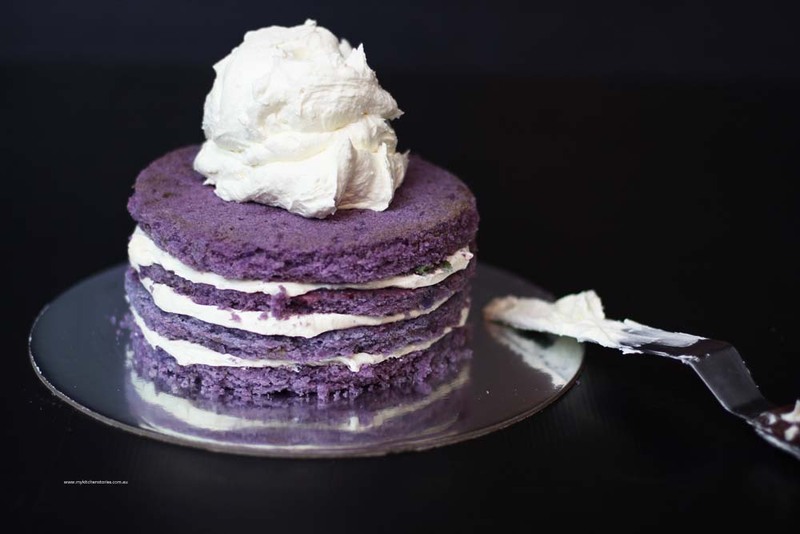 Now want to test out your Buttercream Frosting making skills?. Try this delicious chocolate cake. 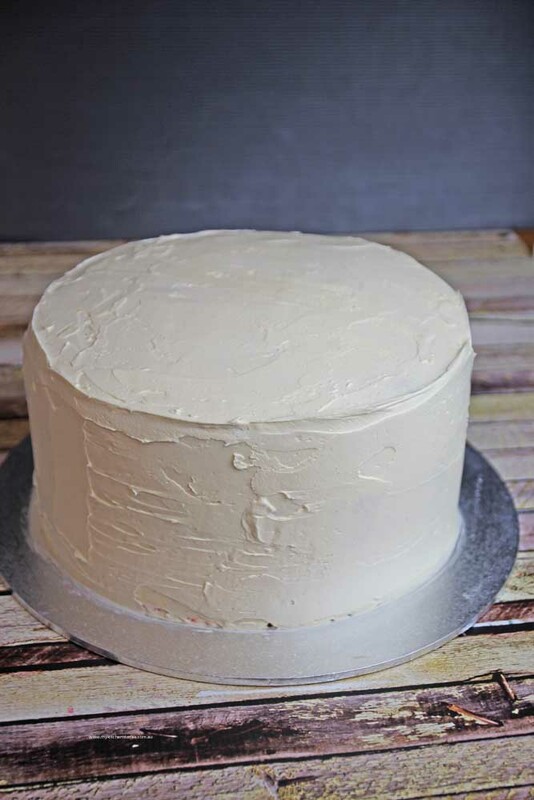 This recipe makes enough to cover a 3 tier 24 cm cake Use a stand or a hand mixer. I have used a hand mixer in the video just so you can see how easy it is. Add the cream cheese and beat again for another 5 minutes. Add the salt and vanilla and mix through. Add the icing sugar 1/4 cup at a time beating in well after each addition. When the last cup is incorporated the buttercream is ready to use. ** For chocolate butter cream add 50 gm ( approx 1/2 cup) of dutch cocoa in two lots incorporating well after each addition before adding icing sugar a bit at a time. This recipe makes enough to fill a cake with four layers. To cover the outside with a thick layer of frosting double the recipe.